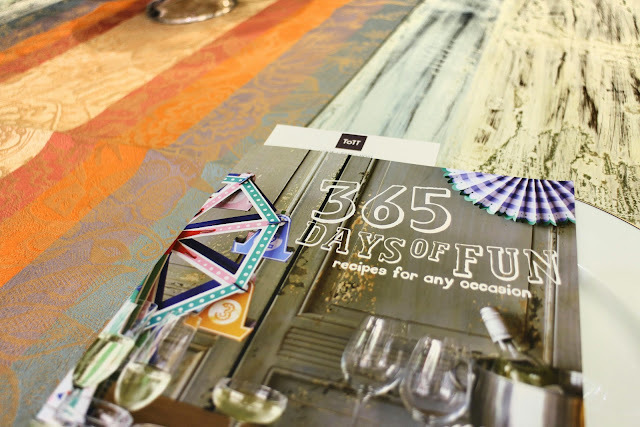 I recently attended the launch of ToTT’s new cookbook, 365 Days of Fun. It’s a joy just to thumb through this book. The food looks so enticing… I can’t wait to get my hands dirty! One copy retails for only S$12.90 and they are available at the ToTT store or online. The 24 recipes are created for themed parties such as “movie nights”, “ice cream socials” and “pets picnic”. I have my eye on Chef Ian Hioe’s banana cake with vanilla ice cream & sesame sauce, and Chef Shen Tan’s sticky kaya buns (how good does this sound?!). For all you lobster roll fanatics, Chef Andrew Walsh from Esquina contributed a lobster roll with spicy ketchup & lime aioli recipe. 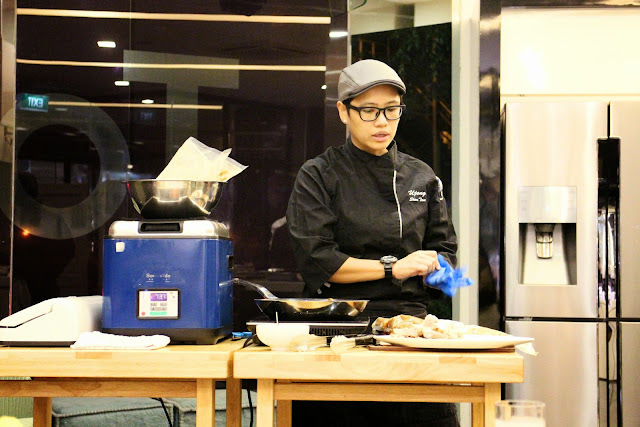 For this launch, we got to watch Chef Ian Hioe (Senior Sous Chef of Blue Potato, Swissotel Merchant Court) and Chef Shen Tan (Executive Chef of Ujong) channel some of their cooking mojo. It was fun, and intimate, with lots of good conversation and lovely food- just like how a good dinner party should be. I was really impressed by Chef Shen Tan that night. I’ve heard about her food at Wok and Barrel, and I know she’s now with Ujong at Raffles Hotel, but I haven’t tried her stuff yet. This rendition of Kong Bak was a good introduction to her take on mod-sin cuisine. 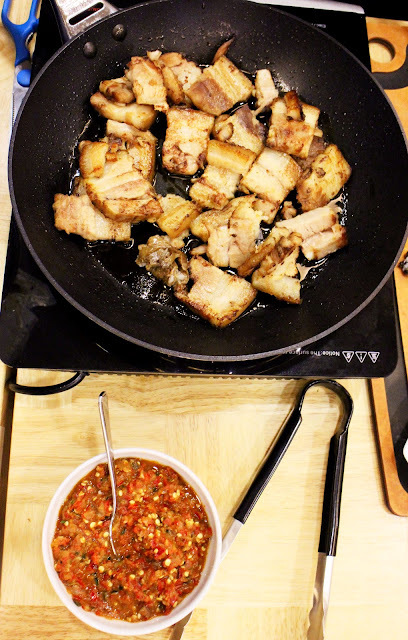 Instead of braising the pork belly, Chef Tan chose to use the sous-vide machine (made famous to the masses through masterchef haha). 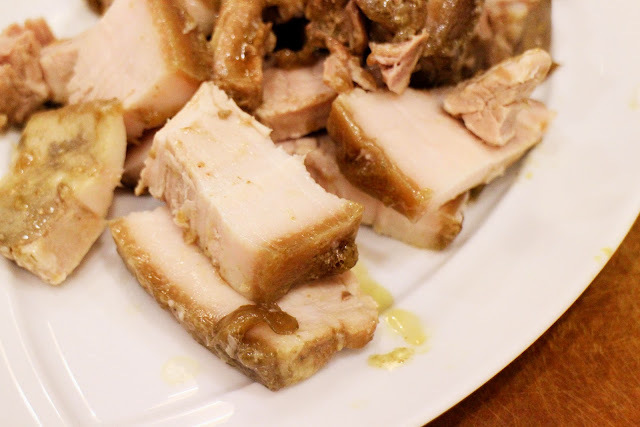 The pork belly was sous-vide for 10 hours at 77 degrees celcius to produce a very soft, gelatinous meat (first photo). 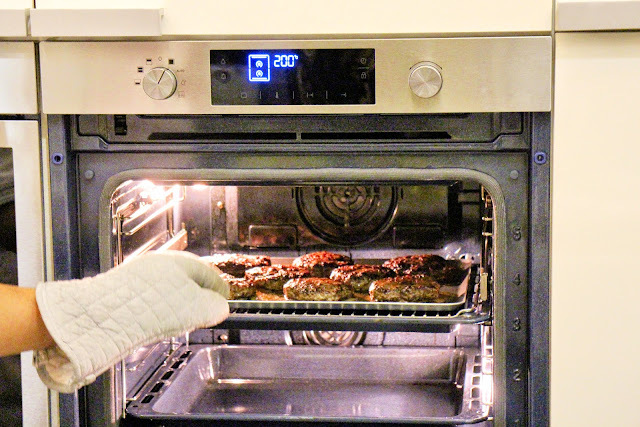 It didn’t look very appetizing at first but after browning it in a pan, and deglazing the pan, we were presented with juicy, tender hunks of meat. I also liked that the porky flavour was not lost to the spices that went into the dish. That’s the thing about kong bak. The sticky black sauce is delicious but the meat itself is usually stringy, and the meaty flavours are overwhelmed by the spice. 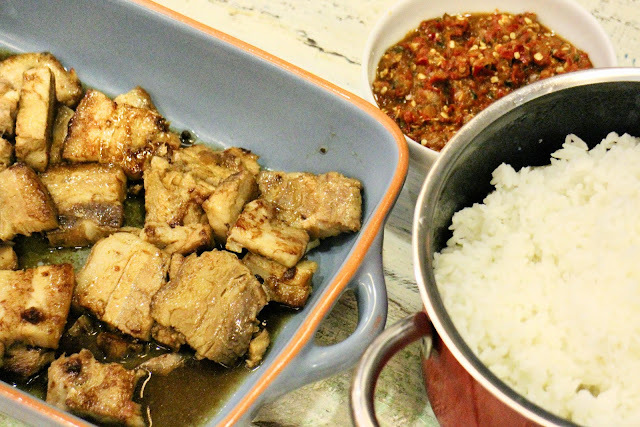 Chef Tan served the Kong bak with her kickass sambal, and rice. 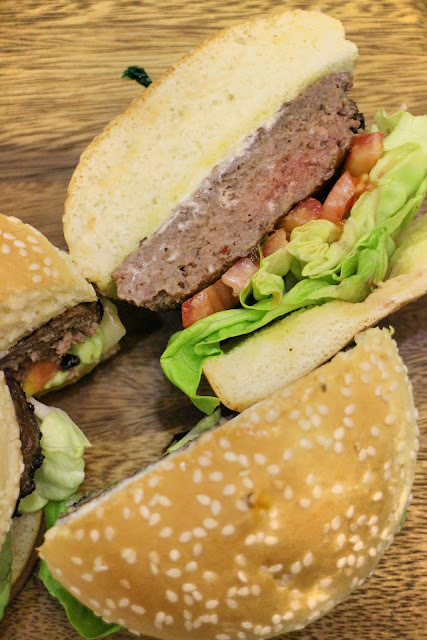 Chef Ian Hioe prepared for us a hearty beef burger with a truffle mayo. 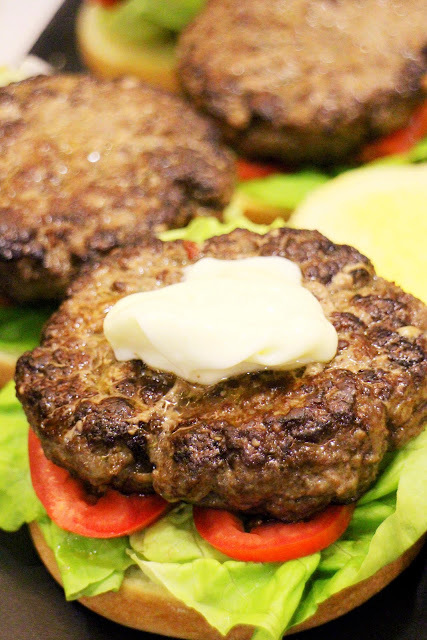 This recipe falls under the theme of “Father Son Indoor Camp”. He was sharing how parents could get their kids to help out with the recipe by mixing all the ingredients, or shaping the patties. The ingredients, and steps are pretty straightforward. 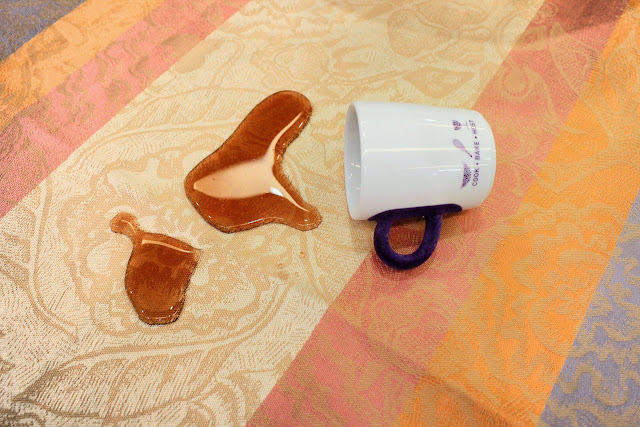 This is a perfect parent-child bonding activity. He also introduced the Blue Potato to us. 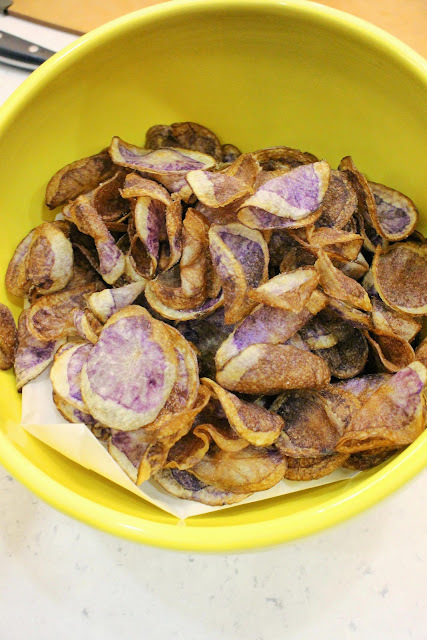 I love the blue-ish, purple-ish hue, and because I eat with my eyes, I think it tastes better than a regular potato chip! 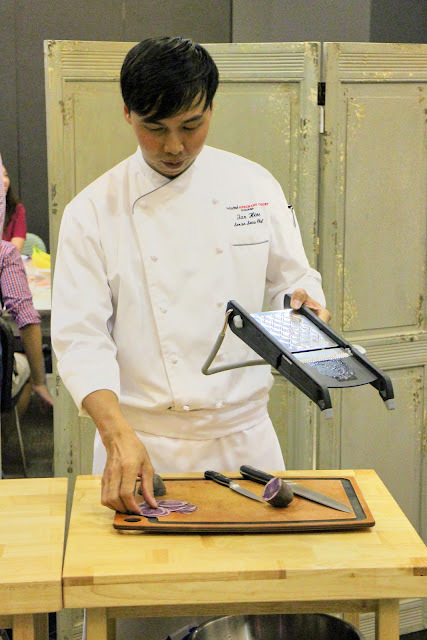 Cooking demos will also be held in October. Deets below! In between the meals, we were introduced to this special table linen that does not ever, get stained- what you see is red wine vinegar. The brand to look out for at the TOTT store is Garnier-Thiebaut. We were also fascinated by the Luminara Candles on our tables which look exactly like the real deal, but are actually battery operated. A big thank you to FoodNewsPR and ToTT for the invite and your warm hospitality! I had a great time. omg, were u here last wednesday 17 sept???? i was there too!!!!! Yes I was!! What did you wear?! I was in a black print top and black pencil skirt.